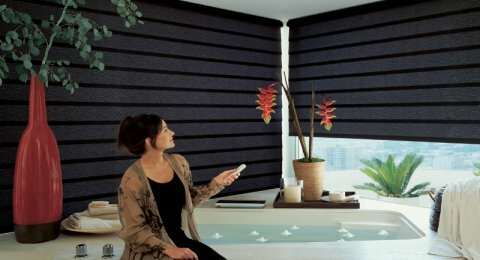 Motorized window covering are either wall-switch operated or remote controlled. Both have their advantages and disadvantages, which also depends on your use. Remote controlled window coverings are easy and convenient to use. Just a push of a button allows you to shut or open your drapes with ease. You get various options to control your drapes in whichever manner you like. Another plus point, you can install the remote right next to your door and so, when you enter your room you can without any hindrance either close or open your drapes to your will. You can use the remote with complete accessibility wherever you are comfortable. No need to get up from your comfort, as the remote will always be in reach. One thing that should be kept in mind when opting for a remote controlled motorized drapery is to keep the remote at all times within reach because without it things will get difficult to manage and might even cause damage to the motor is accessed manually. 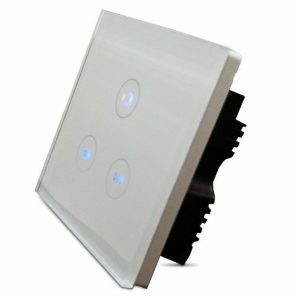 Wall-switch operated window coverings have an advantage of staying at one place, meaning you won’t ever lose them as you could with the remote. A disadvantage that you should keep in mind is that the motor might get damaged if you face a power fluctuation, so always remember to switch it off when not in use or out of home. Another point to remember when buying a wall switch operated motorized window covering is to buy a good quality switch board in order to avoid damage in case electricity fluctuation, water flooding and with an installed child-lock.